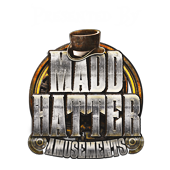 Madd Hatters mission to provide our guests with a safe, exciting environment to be entertained in with their friends and family. We offer profit sharing opportunities to local clubs and charities through our premier haunted house. Your donation today will help us "pave" the way to building our forever haunt home. A Ground Breaking Event ! OUR NEW FOREVER HOME ! OUR NEW FOREVER HOME will be located at 208 Ahtanum Rd. Union Gap. Watch for ribbon cutting events. Want to help us build our forever home? Check out the News section for those opportunities. Site contents Copyright ©2016 Madd Hatters Haunt unless noted otherwise.